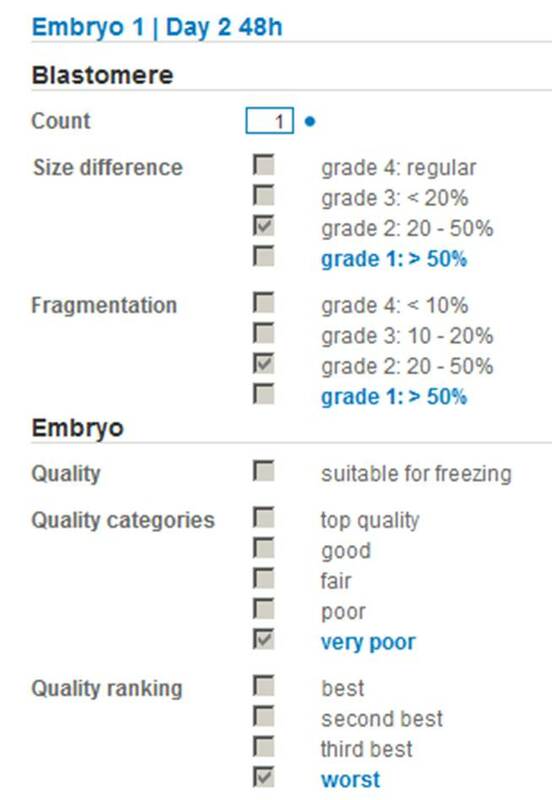 April 2013 | In May United Kingdom National External Quality Assessment Service (UK NEQAS) starts the next four distributions for inter-laboratory quality control in reproductive science of periode 2013 - 2014. Each laboratory has at least one basic licence for UK NEQAS External Quality Assessment (EQA) and optionally for the staff additional individual licences for Internal Quality assessment (IQA). The assessment will be made within a time periode of 4 weeks. After that the correct answers will be visible. With the so called supervisor function the basic licence holder gets an overview of status and result from each participant in the laboratory. This service will be carried out by the Central Manchester University Hospitals NHS Foundation Trust on behalf of United Kingdom National External Quality Assessment Service (UK NEQAS). The distributions will start in May, August and November 2013 and in February 2014 and are open to new subscribers. 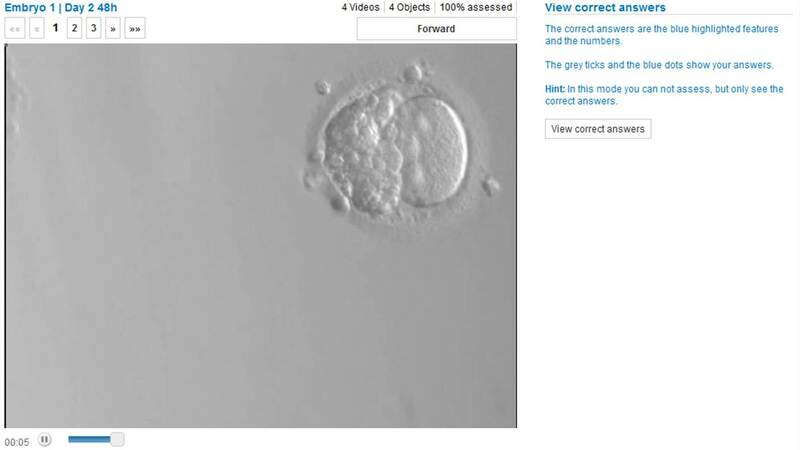 The Embryology Scheme includes time-lapse videos captured from the EmbryoscopeTM incubator and rolling images from Cronus 3TM for early cleaving to blastocyst stage embryo grading in combination with interpretive questions with ‘clinical scenarios’. 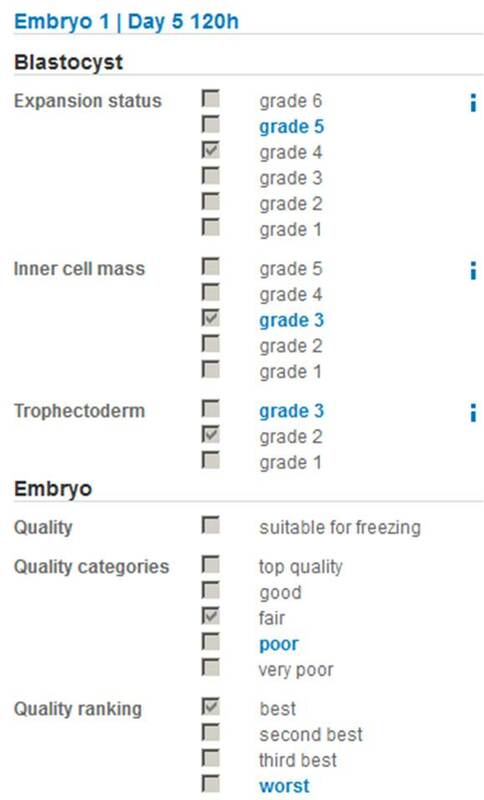 8 Videos will be displayed for assessment of blastomere and embryo features. The correct answers are blue highligted. The grey ticks show the answers of the participant. 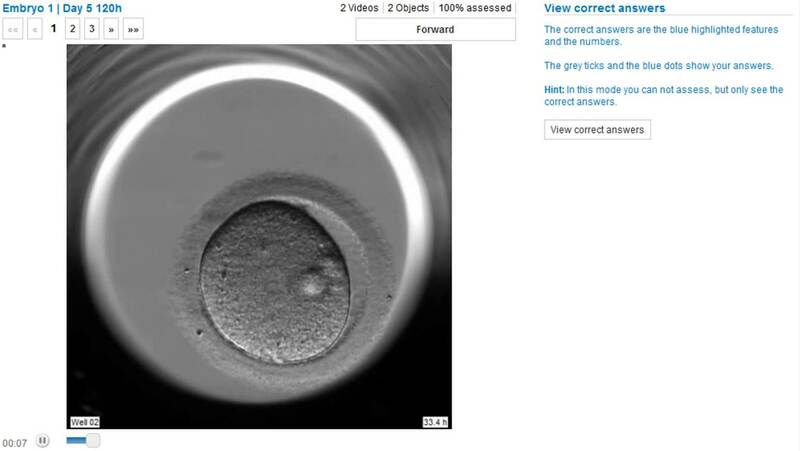 In another 6 videos the features of blastocyst and embryo will be enquired. In Andrology scheme sperm morphology and sperm motility has to be assessed. For morphology assessment, in 6 to 8 images will be shown pictures of 24 prepared sperms. Each sperm can be clicked and assessed. Also here, the blue highlighted features are the correct answers and the grey ticks show the participants' inputs. For motility assessment, 4 videos with moving sperms will be displayed. Each video of about 2 min length shows samples in 5 to 6 fields. Per video has to be assessed the motility of at least 200 sperms over all fields. In the first part of the assessment report are both the results of the current distribution and the summarize of previous assessments. The Match provides the percentage of correct answers. 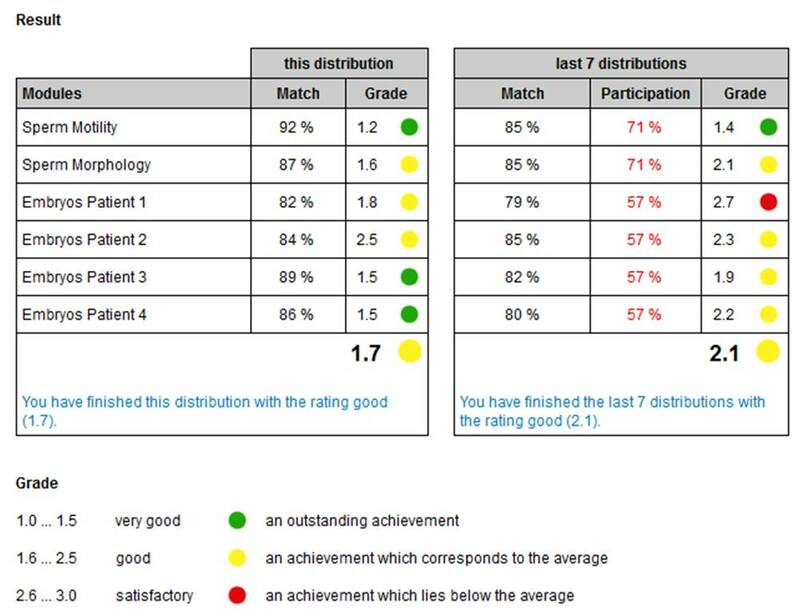 The Grade shows how good is the participant comapred with the whole group. In the second part the development over previous distributions will be plotted. 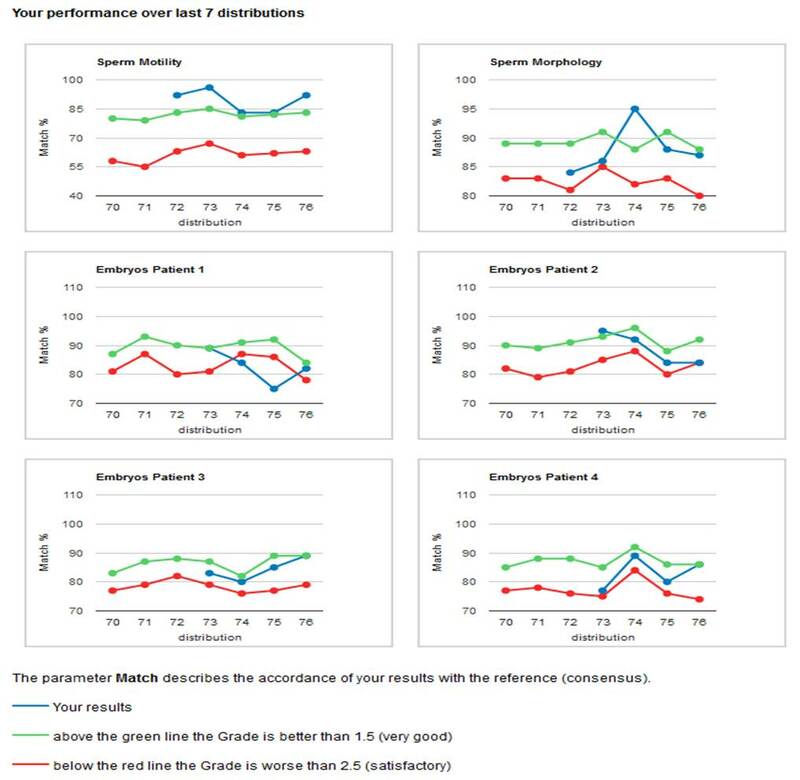 The blue curve shows the performance of the participant, the geen and red curves the performance of the group. Above the green curve are the best 25% of the group (top performer). Below the red curve are the worse 25% of the group (low performer).